Sometimes I am chock-full of ideas for posts. Brimming with trends to try and sales to spoil. Sometimes I'm at a loss. And when that happens I often turn to The bf and ask 'what should I write about?' And sometimes he's helpful. Sometimes. 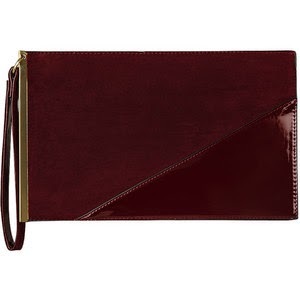 And today is one of those times: let's look at some burgundy clutches. Doesn't this remind you of something your gramma would have and in the best way possible? 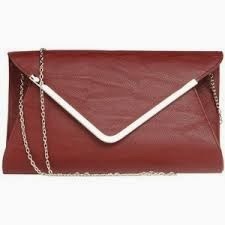 How about a mixed media clutch with a wristlet option? Yes. 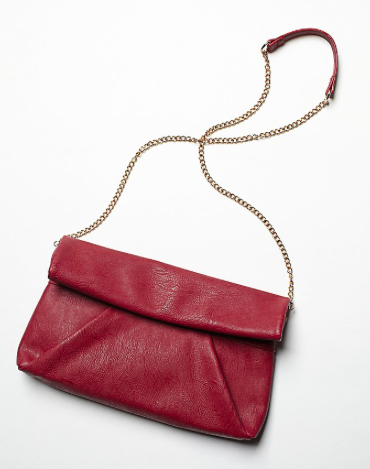 I love the fold over detail and the pebbled leather of this oh-so-soft accessory. An envelope style with a little metal. Love it. 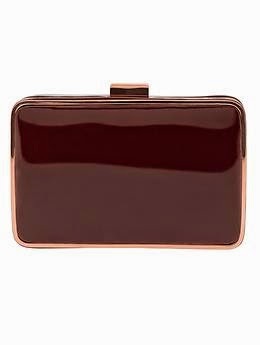 Sometimes The bf has some great ideas and these maroon, burgundy, oxblood, whatever you want to call are a great addition to your fall collection.